I blogged about the unsafe attics in Bajothang after a tenant fell from railing-less veranda on 26th Feb 2013. 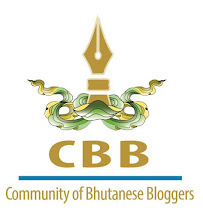 The article was published as opinion in The Bhutanese newspaper in the following week. After over a month Kuensel has run an independent story on it, from where I came to know that authorities have taken action. 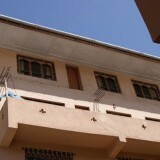 The authorities have notified the house owners to ensure safety by blocking access through windows by putting railings. This was expected to be done by the end of March but no house owner has abided by the notification. Most buildings had left provision for verandas on the third floor, in case the rule changes in future they could make the tenants living in attics comfortable by offering space to dry their laundry. But following the accident they were asked to do just the opposite- put railing on the windows. This means a huge financial blow to the house owners without any benefits. If they were asked to secure their verandas, the financial implication could be tolerated because it expands the scope of better life on third floor. When people look at Bajothang town they see huge building and rich landlords, but when I look at Bajothang I see huge debts standing on the shoulders of worried landlords. They will be paying huge installments for the next 20 years failing which all their dreams will be seized by the banks. The rent they collect goes straight to the banks and any addition financial pressure could make them sleepless. The landlords are not opposing the notification issued by the authorities, they perhaps don't have anymore capacity to invest on the building. I was expecting the authority to finally approve verandas on attic, that will boost the rental business of the otherwise prison-like apartments but what actually happened seemed like a punishment. What is a Rule without logic and without consideration for people it serves? The logic is to ensure safety- whether railing is on the window or on the veranda. A bunch of nail is enough to close windows and shut access to outside of attic if at all it's so illegal to create attic verandah. But with verandas on attics life will way comfortable for people living there. There are more important things to worry about than shutting windows- When will the sewage tanks stop overflowing on the road? When will the farm road in Bajo town get its blacktop done?